While caring for an aging, frail relative isn’t easy, there’s a more difficult challenge in choosing the best way forward for their future. And while the responsibility of looking after your elderly loved ones may seem manageable, this isn’t something you want to take lightly. From the emotional weight of this decision to the enormous challenge that awaits, there are some good reasons why you should consider exploring other options. -Your life will be turned upside-down, to say the least. First, you’ll be forced to reduce the number of hours you work each week (or even stop working altogether) in order to attend to your loved one’s needs. So unless you’re ready to sacrifice your livelihood to take on the responsibility, this is the last thing you want to do. -You and your family will have to adjust your social lives. Brutal as it sounds, elderly people need almost as much attention as infants. So when you start looking after your aging relative, the occasional night-out-with-your-friends will turn from a reality into a distant dream. More significantly, creating a hospitable environment for the frail individual might force you to compel your kids to be quieter as they play. There’s also the fact that they’ll be constantly in contact with the person, which may be a little too much to take for their young minds. -Most people find new environments to be uncomfortable and distressing. Add into the equation the vagaries of age, and you can see how difficult the situation will be for your elderly relatives when you bring them into your house. Besides, you might be forced to leave some of their treasured possessions behind due to lack of enough room in your house. Not to mention some of the challenges they might already be dealing with (illness, bereavement, depression e.t.c.). -Your elderly relative will naturally feel guilty as a result of their dependency on you, which may, in turn, lead to anger and depression. As you can see, bringing your elderly loved one into your home will not be as easy as you initially thought it would be. A more prudent solution would be to hire a home care aide — this will negate the need to uproot the elderly individual from their natural habitat. As a result, they’ll be able to go on living the life they’re familiar with, even if it’s just for the foreseeable future. Besides, your relative and the home health care aide will naturally develop a relationship as time goes by. Having a companion within reach will be of immense benefit for your aging relative. This is something you should never take for granted, considering how big a problem loneliness is among the elderly. Reasons for Choosing In-Home Care for seniors in Your Family! 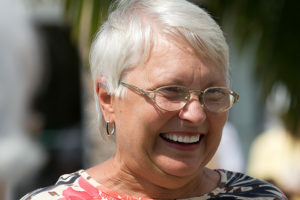 Many senior citizens are enjoying their golden years by travelling and experiencing the new cultures. However, not everyone can have good health and such senior citizens opt for assisted living facilities to spend their golden years. However, they do miss their home, and the old neighborhood and many of them are not comfortable leaving their home and staying at a new place at such an advanced age. So if you are worried about your parents who are of the age when they cannot stay alone, but don’t want to leave their home, then in-home care is the best option for you. As a person gets older, the healing and recovery from an illness or ailment take more time. 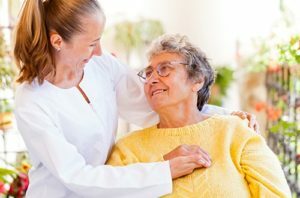 Hospitals can provide the best treatment, but many senior citizens find the hospitals a little disagreeable because they don’t have the home like freedom. This can hinder the recovery and healing, and the process may take longer, but staying at home may help them recover from the illness faster. The home environment can facilitate the speedy recovery for the elderly patients because they feel safe and comfortable in familiar premises. The senior citizens in the family can behave normally and be independent about their day to day routine when they are at home because they are used to the place as well as the people surrounding them. In-home care can be personalized as per the requirement of each patient, and this will bring better results in the recovery process of the patient. Even though the hospitals are the best option for treating a health problem, there is always a risk of infection because there are many people suffering from different ailments in that premises. In comparison, the home will be a safer place as there is a minimum risk of infection to the patient. In-home care is the most convenient option for every member of the family including the senior citizens because they can stay with their family without disturbing the routine of the household members. The feeling of togetherness contributes a lot towards the emotional well-being of the elderly people. Along with the convenience, the in-home care also offers the comfort of home to the patients and also saves money as compared to the stay in hospitals and nursing homes. In-home care is a cost-effective option for taking care of your loved ones. 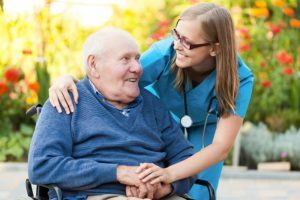 There are many benefits of taking the help of an in-home care provider agency for taking care of your elderly parents, but you have to ensure that you are choosing the best agency for the same. Only a properly trained and qualified person can provide the requisite care and supervision in case of an elderly person recovering from an ailment. When you choose a trustworthy, skilled and trained agency to care for your loved ones, you can concentrate on your job and business without any worries and tension. You can also spend quality time with your parents and relatives in the comfort of your home.